The following figure and the quote below are extracted from VENKAT’s Ribbonfarm, Hacking the Non-Disposable Planet post. I’ve concluded that we’re reaching a technological complexity threshold where hacking is going to be the main mechanism for the further evolution of civilization. Hacking is part of a future that’s neither the exponentially improving AI future envisioned by Singularity types, nor the entropic collapse envisioned by the Collapsonomics types. 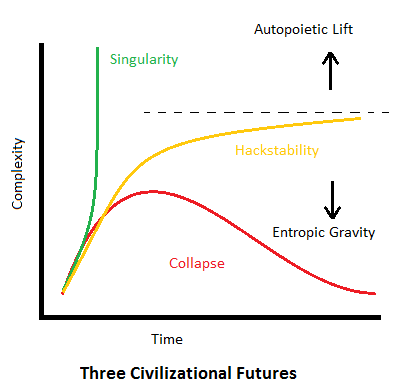 It is part of a marginally stable future where the upward lift of diminishing-magnitude technological improvements and hacks just balances the downward pull of entropic gravity, resulting in an indefinite plateau, as the picture above illustrates. I call this possible future hackstability. 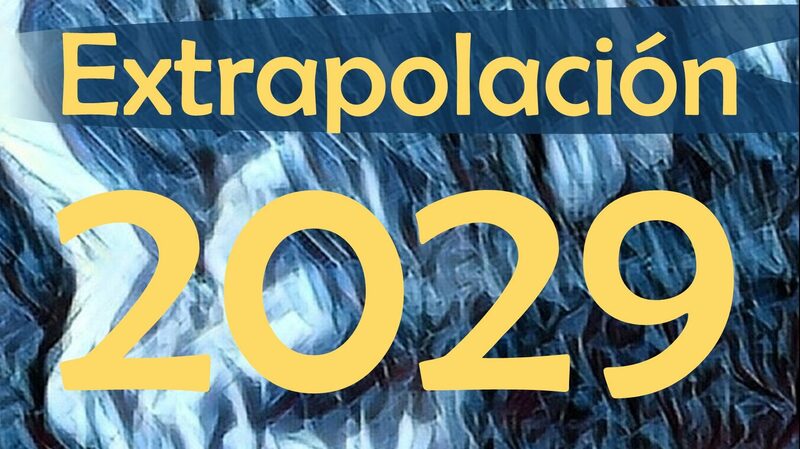 They caught my attention because they so clearly suggest a plausible interplay between technological advancement and increasing complexity, and the potential consequences this relationship could have on future progress. You may have noticed it or not, but our incapability to deal with complexity might be the single most threatening systemic risk we are facing today.